Canon XH-G1, LCD not displaying full image. Is there a special setting for making the XH-G1 display the full image on the LCD screen? I am not too familiar with its menus and it is currently showing as a square with black bars running down the left and right side of it. The image is not using the full LCD space. Is this a faulty LCD? I have attached a picture below. Sorry about the poor quality of the phone camera. 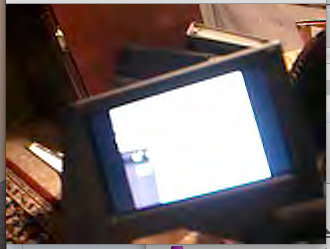 Re: Canon XH-G1, LCD not displaying full image. Are you in SD 4:3 mode?